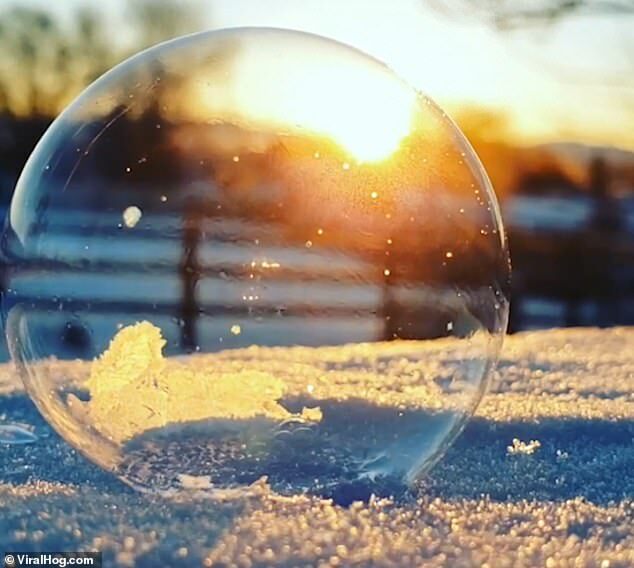 In a scene reminiscent of Frozen, an amazing video shows the moment a bubble freezes into a perfect ice orb. The video was taken by Tanya Stafford in Reno, Nevada, in temperatures of 15 degrees below Celsius. Shot at sunrise, it shows a bubble being blown from a red straw on to an icy surface. The close-up camera sees the bubble wobbling as it settles before the magic takes hold. Suddenly the bubble, as if touched by Elsa’s powers, starts to turn to ice. 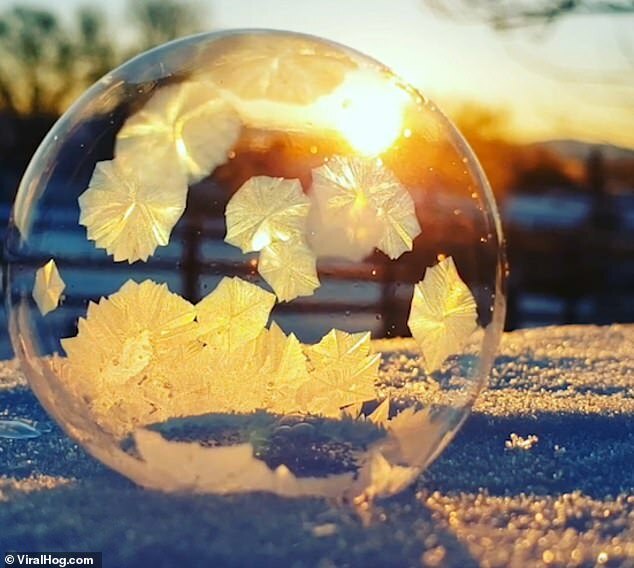 It takes only a matter of seconds for the ice to appear on the surface of the bubble due to the freezing Nevada weather. It appears in spots around the bubble before spreading to form a perfect sphere. The soap in the bubble encases the water in the mixture and the water freezes before it has a chance to burst. In warmer weather, the water inside will expand and pop the bubble. 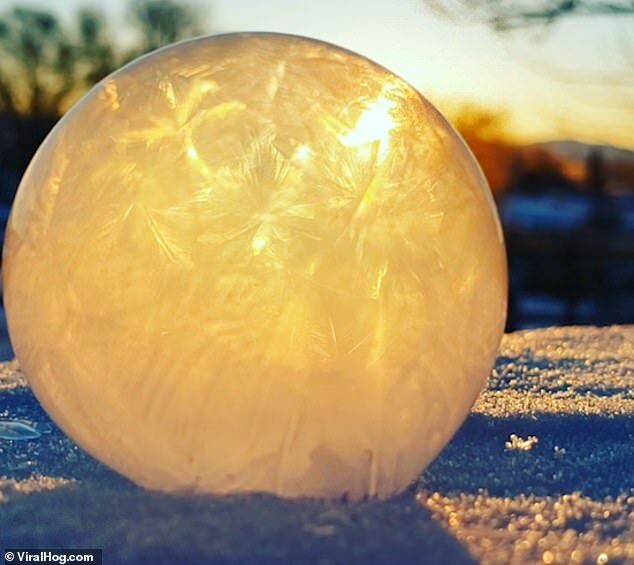 The video shows the icy orb illuminated with a golden glow from the morning sun.